With Sean Monahan, Johnny Gaudreau and Sam Bennett up front, Calgary's short-term future looks bright. For Flames fans anxious to see what the long-term future looks like, all eyes should be focused on Penticton this weekend. 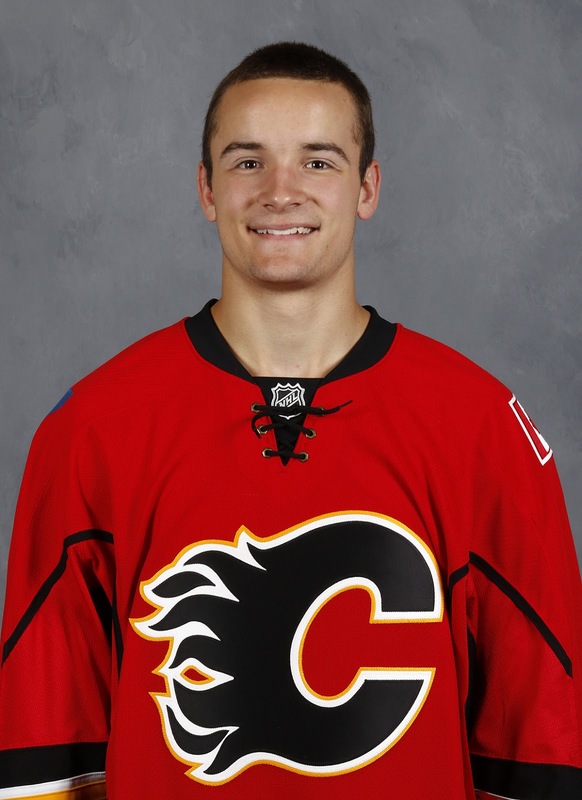 Led by three first round picks in Matthew Tkachuk (6th, 2016), Morgan Klimchuk (28th, 2013) and Mark Jankowski (21st, 2012) and complemented by seven second rounders, the Flames will take 29 players with them when they fly to the Okanagan on Thursday for this weekend's Young Stars Classic tournament. From my latest Flames top 20 Prospects rankings that I unveiled in July, seven of the top nine prospects will be in action, the only exceptions being Hunter Shinkaruk (No. 6) and Brandon Hickey (No. 7). While most players are part of the organization, there are a bunch more like undrafted Lethbridge Hurricanes forward Brayden Burke, who are attending on an amateur tryout. The WHL playmaker will be hoping to parlay a strong showing into an invite to main camp and ultimately a contract offer, just like goaltender Nick Schneider did last year. Must have played less than 100 pro games in North America (includes both regular season and playoffs). So that's AHL, ECHL and minor pro. Must have played less than 25 NHL games. He added that special consideration is granted to players that are first-year professionals that might not otherwise meet this criteria. Here is the complete Flames roster for Young Stars. Those that carry on to main camp when it opens up at WinSport on Sept. 22 will be joined at that time by the rookies deemed too old or too experienced to play this weekend. Earlier in the week in part one of what's essentially a two-part primer, I looked at eight Flames storylines for Penticton, today I focus in on eight individual players -- in no particular order -- that pack some intrigue for me. The sixth round pick from last June, Eetu Tuulola sees himself as a Finnish Milan Lucic, was the darling of development camp with a sterling performance that caught everyone's attention. He's got good size. He's got good hands. He displays a lot of hockey smarts too. Off the ice, he's engaging with a good sense of humour. He came over to the draft on his own and sure enough, he'll remain in North America this season as he was drafted by the WHL's Everett Silvertips in the CHL Import Draft. An organizational weakness still is skilled right-shooting right wingers with size. Calgary should be ecstatic to get a guy that checks all those boxes so late in the draft. Drafted 50 months ago, Mark Jankowski is making his rookie tournament debut. Having freshly graduated from Providence College, he's finally a pro and is anxious to begin his first official season. He did get in eight games late last season with Stockton and the first impression was a good one scoring a couple goals. Big, strong, skilled, good defensively -- as you have to be when playing for Nate Leaman at PC -- Jankowski has done a great job of hushing his critics and turning himself into a legitimate prospect. He's battled skeptics ever since Jay Feaster drafted him instead of Olli Maatta. Not helping either was the ex-GM touting him as the next Joe Nieuwendyk. He continues to take big strides and seeing him for the first time in Penticton will be fascinating. If his conventional number of 19 didn't give it away, the obvious guy everyone will be keeping an eye on is 2016 first rounder Matthew Tkachuk. A virtual lock to go in the top five, yet somehow dropping into the Flames lap at No. 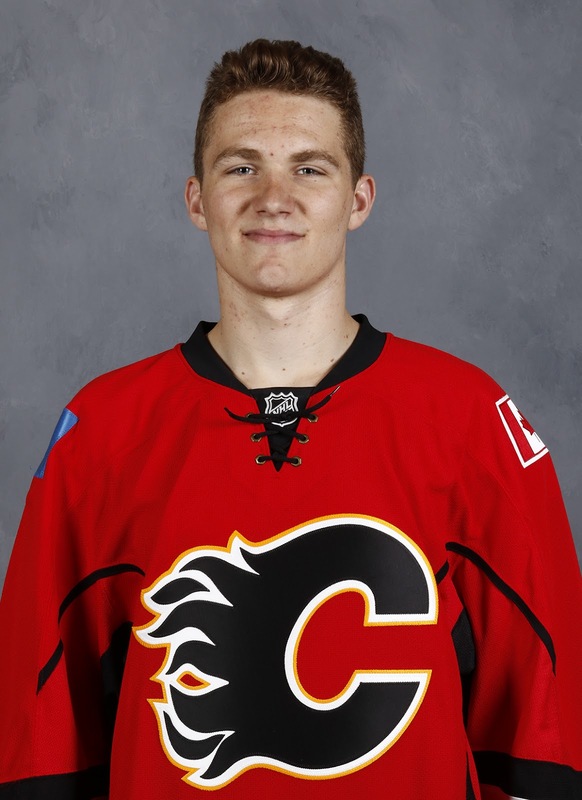 6, Tkachuk and his blend of skill and tenacity was the exact type of player were looking for and in need of. Whether the son of longtime NHLer Keith Tkachuk will crack the Flames line-up this season will not be known for a few more weeks but you know he's going to push hard for an NHL roster spot. Development camp, coming not long after the Memorial Cup and a long hockey season wrapped up, was more of a meet and greet for the 18-year-old. NI would expect his intensity to be ratcheted up big time as his chance to impress begins. Listed at 5-foot-7, this guy is really tiny but he is also competitive and highly skilled. Whether or not the sixth round pick will ever make the NHL is a question mark but one thing not in doubt is Phillips is going to be an entertaining player to watch the whole way. In his first year in the WHL last season with Victoria, he was the league's leading rookie scorer. You wonder what kind of numbers he'll put up in year two. 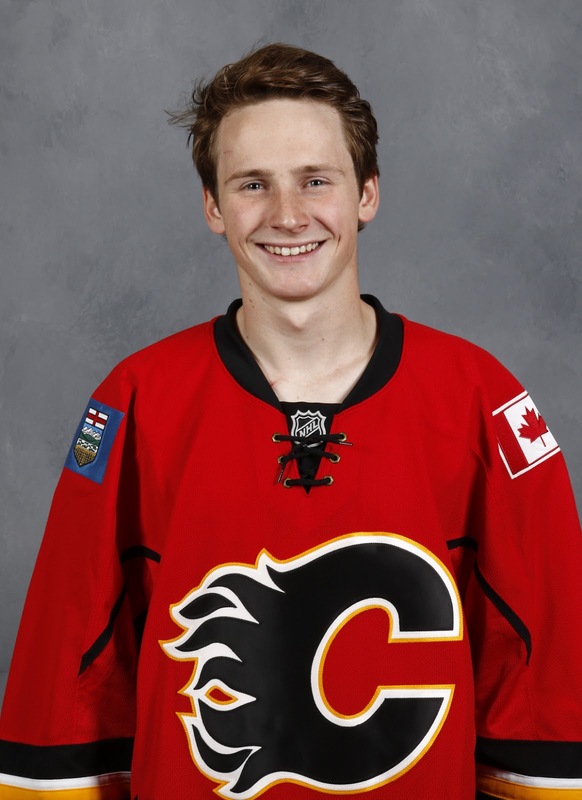 Calgary is one organization that knows very well that smaller guys can be impactful. We won't know for a long time if the Flames have found themselves another late-round gem, but if he can make an impact in this type of tournament, that would certainly be a good first step. 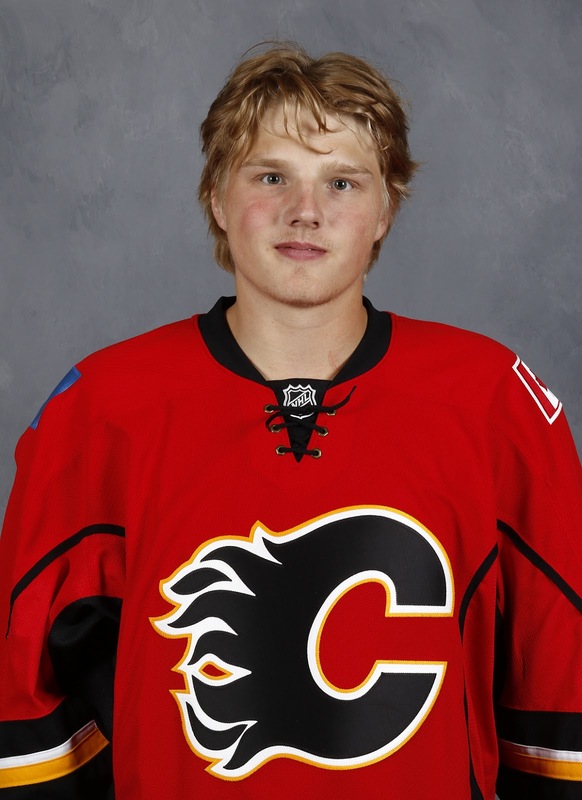 Scolded by management for being out of shape at development camp, is Rasmus Andersson in better condition? We'll soon find out. What we already know is Andersson is a highly skilled defenceman, who has been the OHL's top scoring defenceman over the last two seasons. He is expected to turn pro and play in Stockton this year. Can he repeat his performance from last year in Penticton in which he was a dominant player and starred on the blueline for Calgary. I don't see why not. One year older, another year of experience on the resume. By the end of last year's tournament, he had signed an entry-level contract. By the end of this tournament, he should be ready to make an impact at main camp. The plan in June at the draft was not to take a goalie that early. After all, there are a lot of goaltenders in the pipeline at the moment. But general manager Brad Treliving could not resist grabbing Tyler Parsons as the second goalie off the board when at pick No. 54, he was still out there. They thought he would have been long gone by then. If last year taught us anything, you can never have too many goaltenders in a system in hopes that one or two will develop into solid homegrown options. The position is just so important. Fresh off Team USA's world junior camp, look for Parsons to make a statement this season -- and starting this weekend -- that don't forget about him. 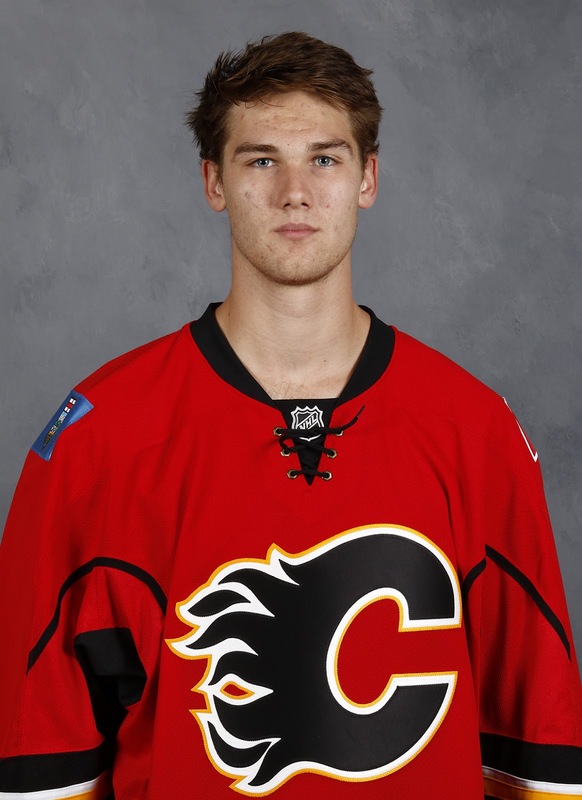 If you're Jon Gillies, take a look over your shoulder. Throughout last season, Andrew Mangiapane ran in the same circles among the OHL's scoring leaders as top five picks like Mitch Marner and Dylan Strome. The key difference -- Mangiapane was a sixth round pick. Getting the talented forward as late in the draft as they did in 2015 when Calgary picked him in the sixth round, is looking like an absolute heist . With his skill and playmaking ability, Mangiapane was really impressive at last year's tournament and I'd expect the same this year. It will also be the first time seeing Mangiapane live since last September as he was injured at development camp so was not on the ice. Bound for Stockton, I'm curious to see how he fares playing up against bigger, stronger and more experienced players. Another strong tournament this weekend would certainly be a nice confidence boost. Talk about an intriguing prospect. Selected in the seventh round in June, one should never expect much from a pick that late in a draft, but Stepan Falkovsky, a guy I've heard best described as "raw", does have quite the interesting resume. Playing for Ottawa (OHL) last season in his first year in North America, you know the kid can move bodies from the front of the net as he's listed at 6-foot-7 and 225 pounds. However, it seems those big mitts of his are unusually soft also. In his 58 games, he scored nine times and racked up 32 points. That's pretty good output. Where Falkovsky will play this season remains uncertain. A return to Ottawa is not in the works. 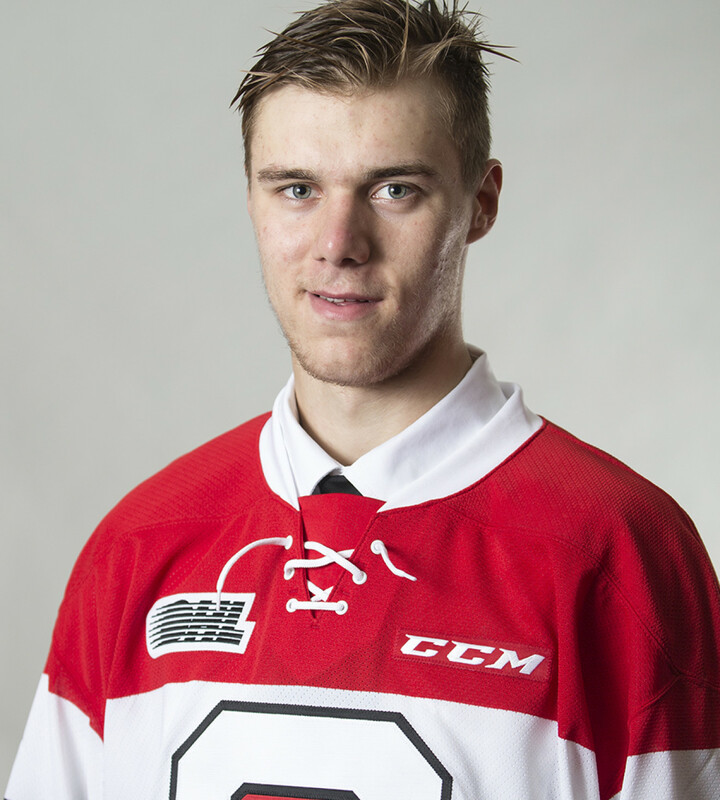 The 67s are set with their allowed number of import players and as a double-hit, Falkovsky would also tie up an overager spot. In asking about the big Belarusian this week, Treliving referred to him jokingly as "homeless" for now. He said there are a couple options the team is mulling over, one of which would be assigning him to Adirondack in the ECHL. 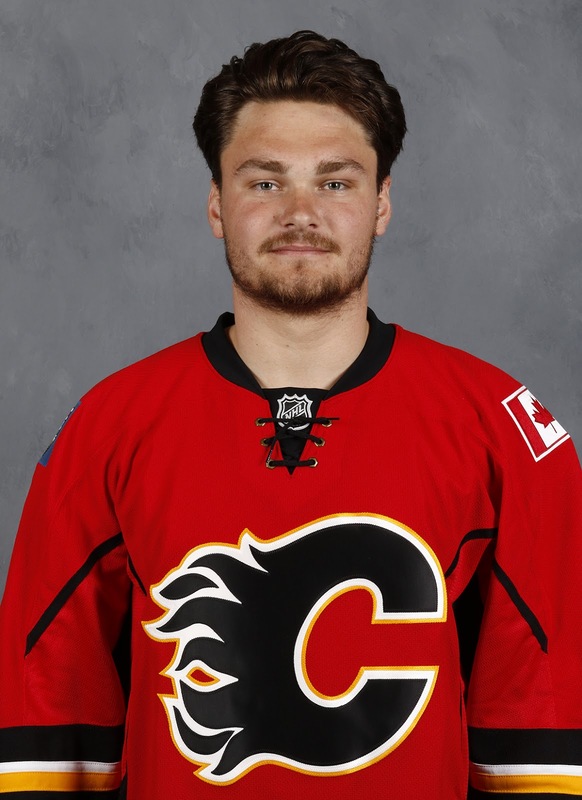 While where he'll be in October remains TBD, where he'll be this weekend is in a Flames uniform and I'm interested to see him up close. I just don't want to make him angry. Would like to see #'s 1-3 playing on the same line! Maybe, just maybe, we will see that exact combination. I agree that would be fun to watch. Am curious to see the different combinations they try in the top six over the weekend. Jankowski is much more intriguing to watch than Tuulola. He turned 22 yesterday. 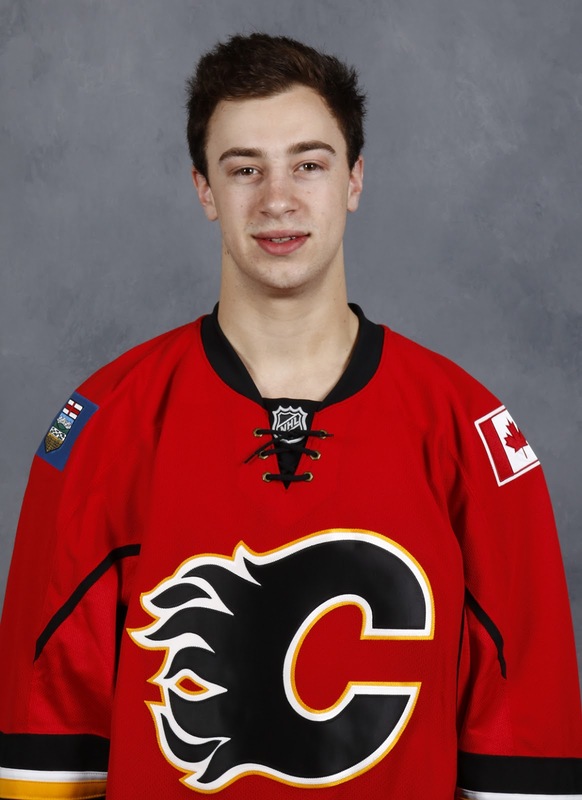 That's over four years since he became the most controversial draft pick in Flames Franchise History, that he will finally wear the Flaming C in an Intra-Squad Game. FYI - Those names are not meant to be in any particular order. I thought about going by jersey number but I started it before the roster was released. Further, moving them around required re-inserting the photos and that would be messy and time-consuming and I have a suitcase to pack. I contemplated not numbering them at all but I know me and without any numbers to contain myself, suddenly I'd be at 28 players listed with only one guy NOT on the list. Anyway, there's some useless background information for you. As a friend of mine used to say, "Now you know more than you ever wanted to know about what they put in the sausages." Falkovsky looks like a great pick. Playing against men in the ECHL should let us see if his decent point totals (in just his first year in NA) are due to his size advantage in Junior or if he actually has skill to go with that size... while still giving him easy competition to grow his game against. It's never good to expect much out of a 7th rounder, but he's definitely an intriguing prospect. Surprising that such a large dman who can also score was not chosen earlier. He's better than Bruce or Kanzig at least.